Anthony Culmone has had a rough year, by any measure. He was diagnosed with cancer in March 2017. And the 64-year-old chief of the Bogota Fire Department has since endured two surgeries, chemotherapy and radiation — all necessary to halt the disease’s insidious progression. 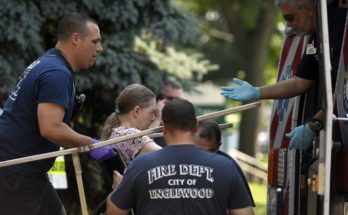 Does Culmone, who is also an Englewood fire inspector, think long-term exposure to dangerous fumes and toxic materials during his 38-year firefighting career led to the illness? But Culmone, like so many other cancer-stricken firefighters, can’t say for sure. Federal legislation, the first of its kind, would change change that by creating a national cancer registry to help study and monitor the relationship between firefighters’ health and the hazardous materials they so often ingest. The Centers for Disease Control and Prevention will oversee the registry, information from which could lead to the development of better protective gear and more sophisticated safety standards, officials said. The bill was first proposed by Sen. Robert Menendez in 2016, and it was unanimously approved by the Senate in May and the House of Representatives in late June. President Donald Trump is expected to sign it into law sometime this summer. Rep. Bill Pascrell Jr., the Paterson Democrat, co-sponsored the companion legislation that passed the House. But he did not speak at Tuesday’s event, because a bout of heat exhaustion during Menendez’s speech forced him to leave abruptly. The White House did not respond to a request for comment on the legislation. Fires present unique health risks to those who battle them — the flames produce fumes and debris that are known or suspected to cause cancer. And small particles from burning plastics, carpet or asbestos can worm their way into the lungs. Firefighters have a higher rate of both cancer deaths and cancer cases than the general population, a multi-year study by the National Institute of Occupational Health and Safety found in 2013. The increases were found in respiratory, oral, digestive and urinary cancers. And the rate of malignant mesothelioma — a relatively rare type of cancer associated with exposure to asbestos — was twice as high as expected. Asbestos was used as insulation in older buildings; firefighter exposure to asbestos on the job was the most likely explanation for the increased incidence of the disease, the study reported. Another study, which followed a group of 30,000 firefighters from three big-city departments over 60 years, discovered that the more time a firefighter spent at fires, the greater the likelihood of being diagnosed with lung cancer. It also found a greater chance of dying from leukemia. That study was the first to look into the correlation between the length or frequency of firefighters actually fighting fires and cancer. The increases were small and further study was needed, the researchers said. Researchers were careful to note that the study could not identify which cancers were caused by the firefighters’ work and which were caused by personal risk factors, such as family history or smoking. The study doesn’t mean a healthy firefighter will get cancer. But to many, the anecdotal evidence is enough. 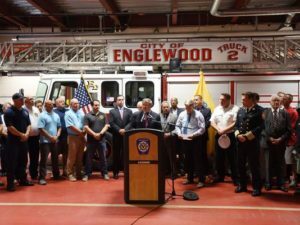 “We’ve seen throughout history that our members are dying much more from cancer than they are from fires, automobile accidents or heart attacks,” Dominick Marino of the Professional Firefighters Association of New Jersey said Tuesday. The bill will also consolidate and store information submitted by health care professionals regarding cancer among firefighters, and make available some data to public health researchers for their study. It’s all very personal for James Tedesco, the Bergen County executive, who is a cancer survivor. 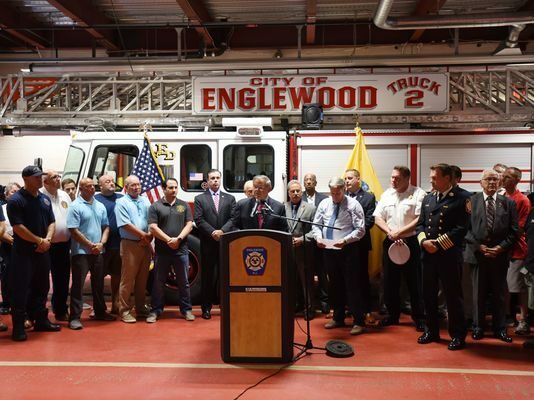 Tedesco, a 42-year veteran of the Paramus Fire Department, said Tuesday that he still isn’t sure if the hundreds of fires to which he’s been called contributed to his diagnosis. Though he is nine years cancer-free, questions still linger. 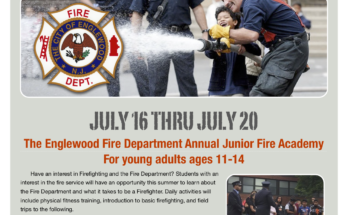 Copyright © 2019 Englewood Fire.